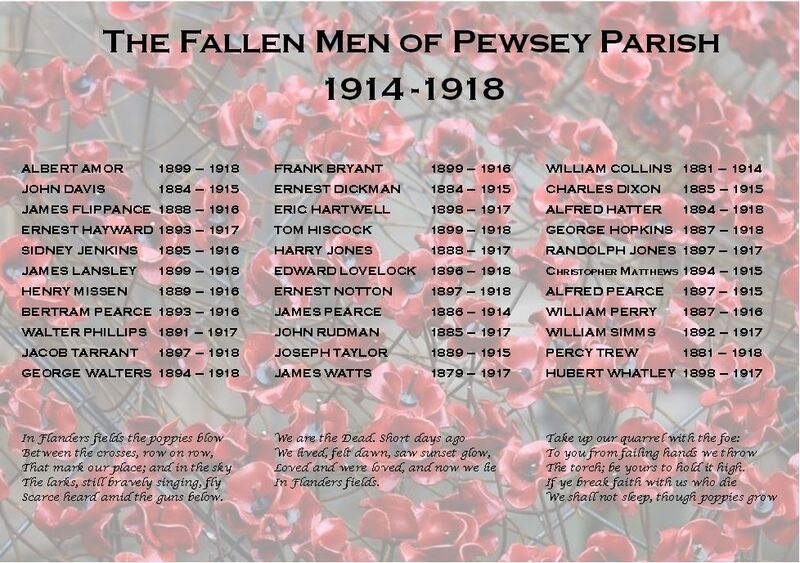 To commemorate the 100th Anniversary since the end of the First World War, the Parish Council has unveiled a new memorial seat in the Market Place. On 9th November 2018, young people from Pewsey Primary School and Pewsey Vale School were invited to plant 33 trees in the form of a cross on Pewsey Common (the top of Pewsey Hill). This area is now formally known as Century Cross. Each tree represents a man who left Pewsey to fight and never returned. Students from Pewsey Vale School designed and produced name plates for each tree and Pewsey Primary School buried a time capsule under a centre piece Sarsen Stone. 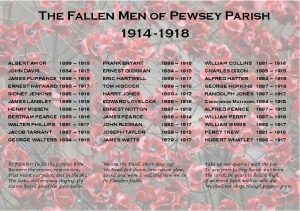 This act of Remembrance will become a long lasting, meaningful, commemorative area looking down onto Pewsey and across the Vale and will benefit the environment for years to come.